John Lewis and Tesco among those criticised, while eBay was praised. Brands are still not doing enough to create LGBT+ diversity in their advertising, according to a PrideAM Creative Review panel that examined a number of Christmas ads. PrideAM, which lobbies for increased LGBT+ content in mainstream advertising, was disappointed by the work that it saw. The panel included Jan Gooding, chair of the board of trustees at Stonewall, Jerry Daykin, head of partnerships at Diageo, Jackie Stevenson, founding partner of The Brooklyn Brothers, and Stu Outhwaite-Noel, creative partner at Creature. 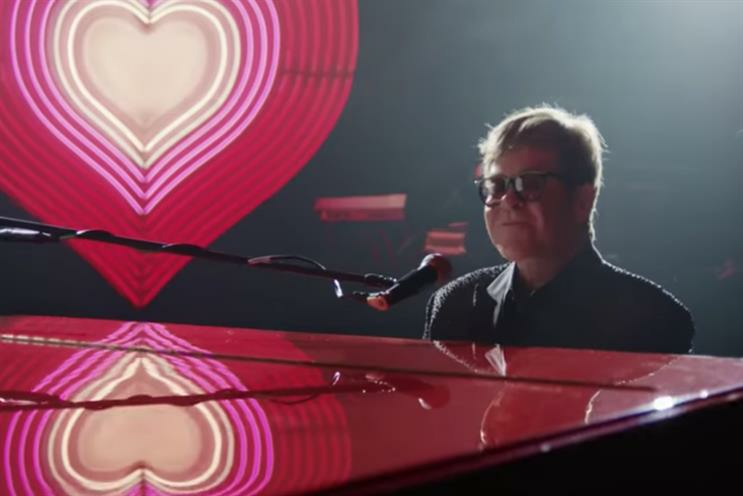 It questioned why the John Lewis & Partners Christmas ad’s potted biography of Elton John, perhaps Britain’s most high-profile gay man, left out events such as the launch of his Aids foundation, his performance at his wedding and the fact that he and his husband have two children. Tesco’s "However you do Christmas", which looks at the many different ways a host of different people celebrate the big day, was described by Daykin as "diversity bingo". "It’s diverse, but not that inclusive," Jay Pepera, business development co-ordinator at TBWA\London, argued: "All these different types of people are sitting at separate tables. This definitely doesn’t feel like my family Christmas." It was also agreed that, despite the range of ages, faces and ethnicities included in the Tesco film, there were no obviously LGBT characters included, because there was a degree of doubt over whether the pregnant woman and her birthing partner are meant to be a couple or not. However, the panel liked eBay’s "If it’s happening this Christmas, it’s happening on eBay", which features a snapshot of LGBT+ home life with two dads and their kids bouncing on a bed in a "bright, vibrant and genuinely joyful" shot. Richard Miles, creative director at Therapy and PrideAM member, said: "Earlier in the year, it really felt like we were making progress as representation of the LGBT+ community began slowly improving, but this Christmas it feels we’ve gone back a step. "There are a lot of kids out there watching TV whose lives could genuinely be changed for the better just for seeing two guys or girls kiss, or see a trans person in an everyday situation. The ad industry has the power to make hugely positive change and we would urge brands to really use this opportunity as a force for good." Omnicom’s Phil Clements, co-founder of the PrideAM Creative Review, added: "For Christmas 2019, all we want is authentic, informed and noticeable representation in more than a couple of ads." Gooding labelled most of what was on show as "pathetically tokenistic". She said: "It’s not easy to capture things like LGBT+ experiences or faith in a quick edit. It burdens creativity to keep having to try to show everybody. Why can’t we just give up showing straight, white people for a bit? We’ve had 300 years of that – there’s a lot of catching up to do." And, echoing the findings from PrideAM's Creative Review in the summer, which called for brands to insist on having LGBT+ people working on their campaigns, Gooding urged agencies to "get a gay team to write about gay people".